Platform for Youth Development (PYD) is commemorating the 2019 International Women’s Day through showcasing cultural dances peculiar to Ndau culture at Matsuro Primary School in Musikavanhu Constituency. The commemoration which is expected to be attended by over 300 people will feature the popular Muchongoyo and Chokoto traditional dances from the hot pots of Ndau culture likeMuumbe, Zamchiya and Mariya villages. The 2019 theme for the International women’s day is “Better the balance, betterthe world” and identifiable with the campaign #BalanceforBetter.This theme provides an opportune moment for PYD to join other like-minded organisations to celebrate and reflect on the achievements made by governments and civic society in strengthening the roles of women in societies. 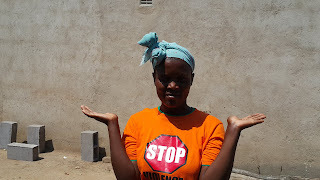 PYD is implementing a project for the past 28 months that seeks to empower young women and girls to confront harmful cultural practices in Chipinge district. Platform for Youth Development would be taking advantage of this year’s theme to push for co- existence between men and women in the world but more specifically in Chipinge district where greater focus will be on social inclusion of women in community development. ‘We have adequately prepared for this event by involving key local stakeholders inclusive of traditional leadership and educationists from the district who will help to endear the positive values of the Ndau culture’ Cynthia Gwenzi who is the PYD Gender Wellness and Advocacy Officer said. Cynthia Gwenzi further reiterated that the cultural event will confirm that the organisation has been closely working with the Chipinge community for the past 28 months when the project to raise consciousness on the emancipation of women was launched. Richard Mtetwa who is one of the Gender Activists from Muumbe village mobilising for the cultural event, expressed confidence that the commemoration will be an eye opener for the community in Matsuro. PYD is of the opinion that culture can be a tool to fostering an environment that is permissive to tolerance and mutual understanding and where there is mutual trust, diversity and respect for minority so as to achieve#BalanceforBetter for our local communities. The PYD Director Mr Claris Madhuku pronounced the commemoration of the International Women’s day as that opportunity for PYD to publicly show the outer world that Ndau culture is still rich and an embodiment of the values of peace, progress and unity that promotes community development. PYD endeavours to advocate fora community in which every individual has an active role to play based on fundamentalvalues of equity, equality, social justice, diversity,tolerance,freedoms and respect of human rights .